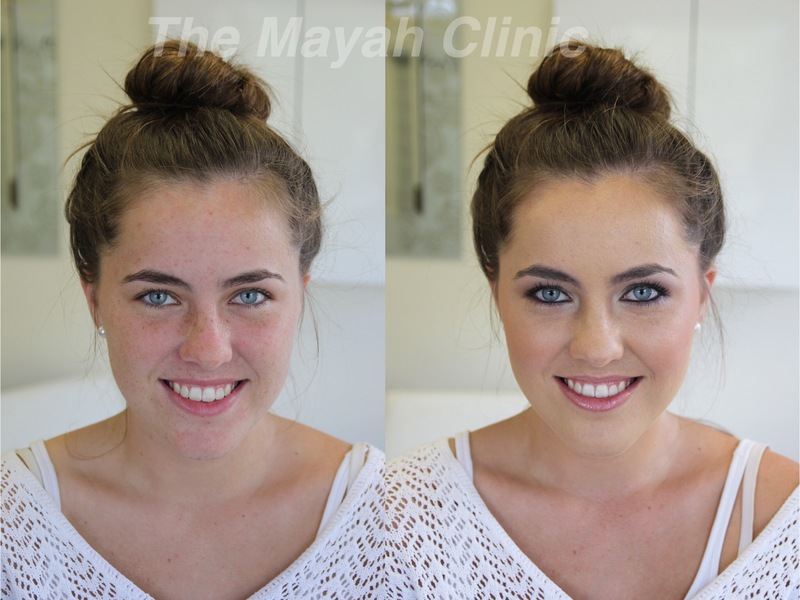 At The Mayah Clinic we use Jane Iredale Makeup. This is an award- winning product that has been tested to confirm it is non-irritating, does not block pores and is a Skin-cancer Council approved sunscreen. It is ideal for the most sensitive skin. Our Makeup team have had extensive advanced training using Jane Iredale, to create the most beautiful, up-to-date effects. Whether you are after a soft, subtle look or a something more dramatic, we can create your desired style to ensure you look and feel your best self on the day. Skin-Perfecting Packages are available for the lead-up to weddings and special events, to ensure your skin is the best canvas for your makeup on the day. These packages are individualised for you after a consultation with our Skin Therapists. They can include facials, Photonsmart LED, Broadband Light, and even botox/dysport and dermal filler injections. Of course some of these treatments would also require assessment by Dr Holmes as required, to complete your care.